1. Kale is very high in iron. Kale has more iron per calorie than beef. When you don’t have enough iron you can become lethargic. Also anemia can become a problem when you have an iron deficiency, which makes it harder for your body to fight off illness and disease. 2. Kale is high in fiber, low in calorie and has no fat! A cup of kale has only 34 calories. The fiber content is great for helping with digestion and it’s also filled with many vitamins and nutrients. 3. Kale is high in vitamin K. Vitamin K is essential for optimal health. It can help stave off blood clotting, keep your bones healthy and helps prevent various forms of cancers. 4. Kale promotes healthier nails and skin. Kale is filled with healthy omega-3 and Omega-6 fatty acids that help your skin glow and nails grow strong. Who doesn’t want healthy glowing skin? 5. Kale’s also an anti-inflammatory. If you have arthritis or stiff joints kale can help provide relief from the aches and pains. It is also know to be beneficial for autoimmune disorders as well. Okay so we had an EPIC FAIL baking cookies the other night. Being the newbies that we are to the gluten free lifestyle we thought you could just substitute a gluten free flour for wheat flour. Not the case. We tried substituting coconut flour for regular flour in our favorite chocolate chip cookie recipe and ended up with crumbly, dry cookies that were not delicious. Flavor in a meal is connected to the smell, taste, texture and appearance and these cookies just fell apart. So the other day we were staring at the flour aisle in Whole Foods wondering what the hell we were doing when I glanced over at a woman picking up a variety of flours. Figuring she had to know more about this whole process than us we asked her if she had any tips for buying flour and for gluten free baking. She directed us to all-purpose gluten free flour (pictured above) and kindly informed us that gluten free baking works best if you mix the flours. 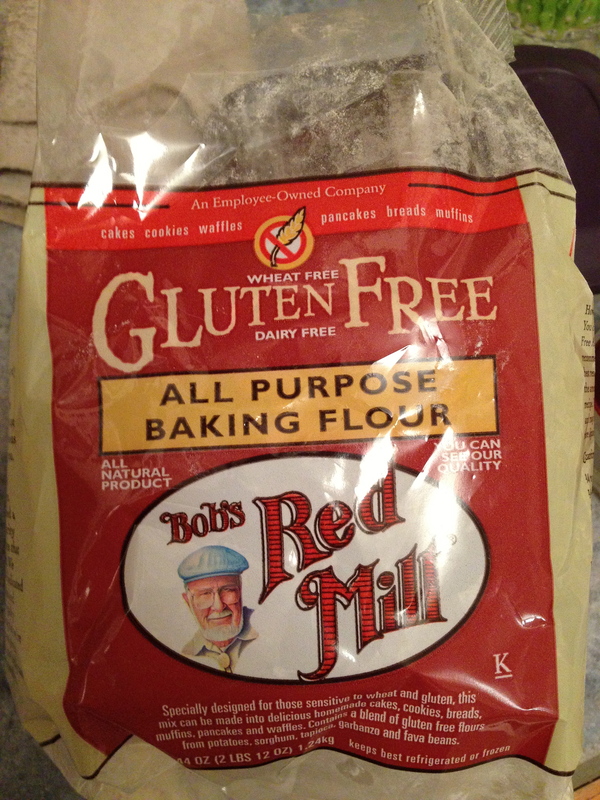 Luckily Red Mills sells this bag that already has a variety of flours combined for you. 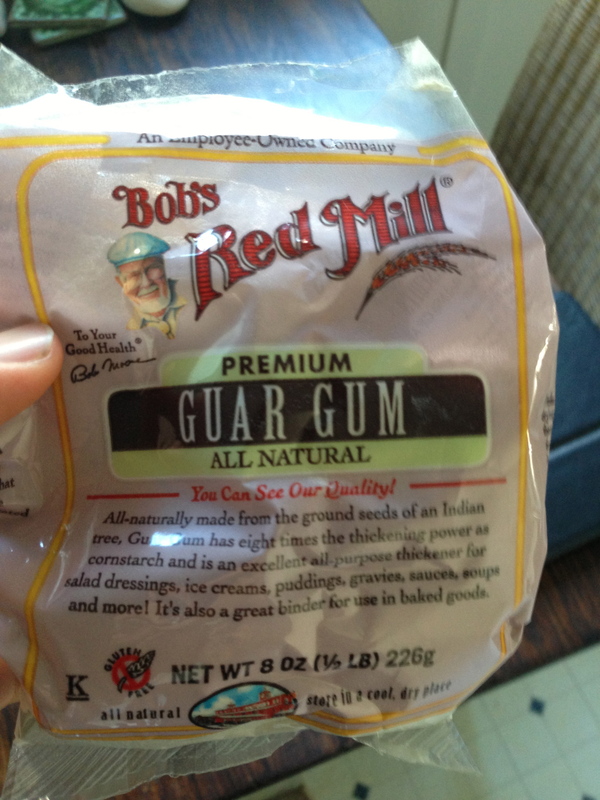 Also, you need to add a binding agent to gluten free flour xantham gum or guar gum work well. We chose the later, it being the least expensive. 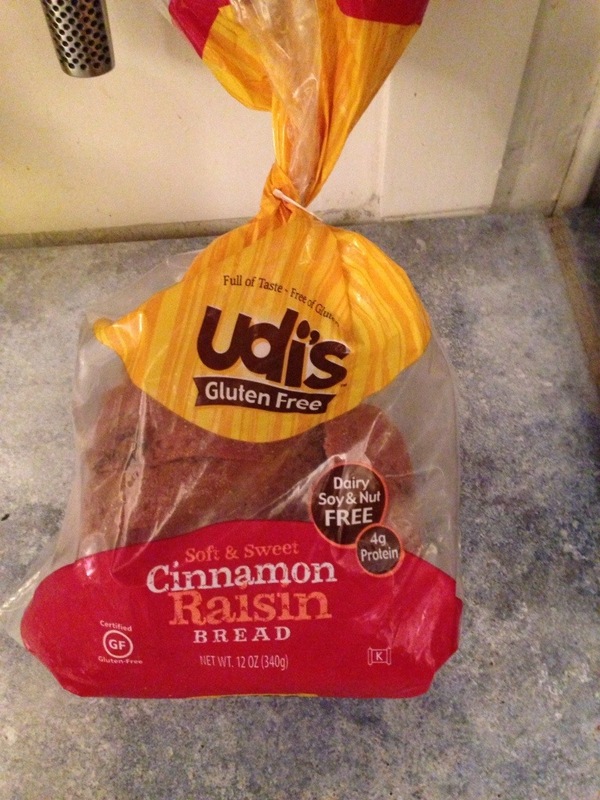 The bag provides directions but basically you need to use 1/4 teaspoon of the binding agent to every 1 cup of gluten free flour that you use. We found a WONDERFUL vegan, gluten free oatmeal raisin cookie recipe on the web and armed with our new knowledge of these products we made some AMAZING cookies. 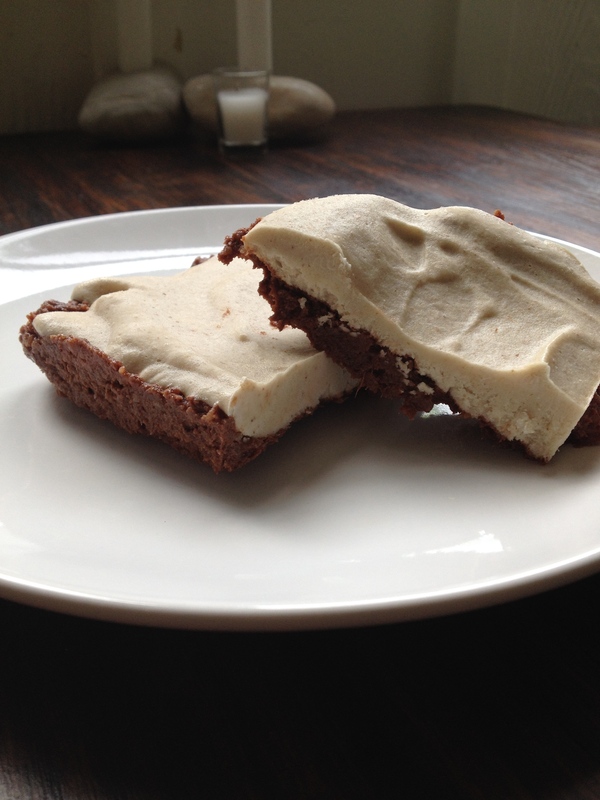 We will post the full recipe at a later date. This brings me to one more tip. Talk to people. We have been using this technique at the grocery store for the past week. Hang out at the aisle that confuses you (for us it was the flour aisle) and when someone comes by that looks like they know what they are doing, ask them for advice. Most people are happy to help and often you can benefit from their experience. Chances are these people have had a lot of successes and failures and can tell you about them to save you the trouble of making the same mistakes they have. After turning down delicious gluten-filled foods today I was craving something familiar. 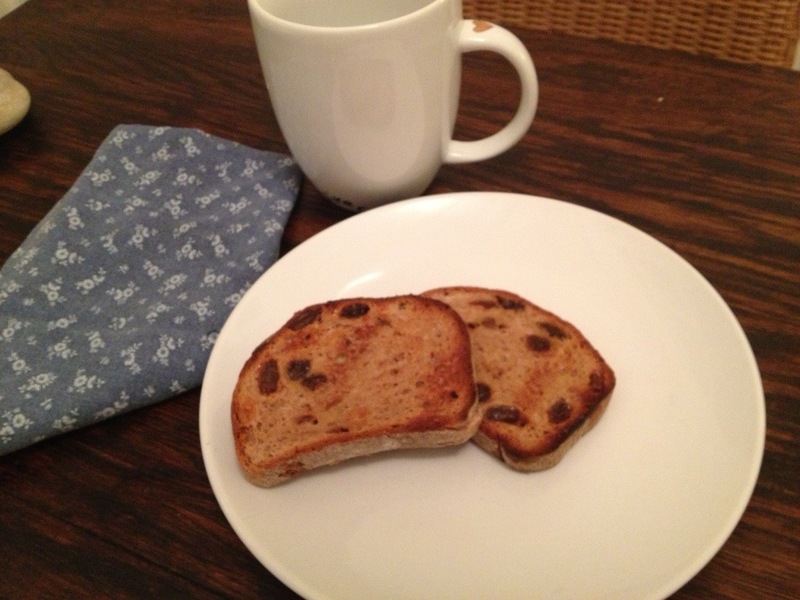 This raisin bread toasted with a little earth balance was just what the doctor ordered!